The weather in southern Louisiana has been on 70’s and beautiful! This time of year on the weekends we are either boiling crawfish or barbecuing. We use any excuse to sit outside and soak in the weather , this past weekend was no exception. 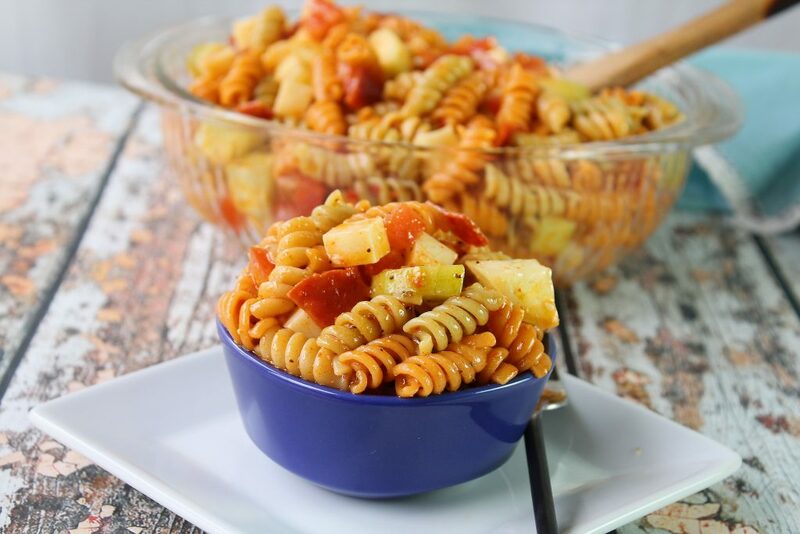 This zesty pasta salad supreme is one of my all time favorite salads. Seriously, I will usually hide the leftovers in the fridge so I can nibble on it for a few days all by myself. This is one of those salads I never grow tired of and make it several times a year.